Yaounde has severals pastries, from differents countries they makes French, english, spanish and arabic pastries . Under those circumstances, we will give you the top ten of best pastry chef in Yaounde . First of all we have Le MOULIN DE FRANCE pastry is a concept of bakery which consolidate the art of eating the bread to the old .Locate in Boulevard of 20 May Yaounde, Le MOULIN DE FRANCE imports 70% of its raw materials from France to maintain the quality of its products. 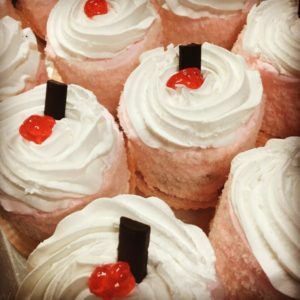 His pastry shop offers specific varieties such as chocolate fondant, coconut rocks, pies and tarts with fruits and jams. Its pastry is unique in that it is made with pure butter and not margarine. These include croissants, chocolate bread, apple turnovers, raisin breads. Furthermore, this sumptuous place offer Ice cream which are designed by a craftsman alpine glacier in France, ice of the difference. Second we have Bakery pastry SELECTE PLUS Locate in the administrative city center Yaounde. Best ice cream of all yaounde cakes and breads are just perfect. In addition, the side Sandwich and other pastry I would say that they are the best on the field. Thirdly we have the pastry bakery CALAFATAS in the perpetual concern to offer you quality services, offers you the best croissants of Yaounde. 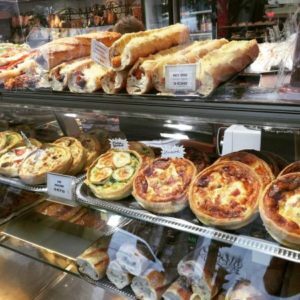 They offer really excellent pastries, but the price is not affordable for all. Make a tour and you will come back for pleasure and pure satisfaction. CALAFATAS is one of the best bakery in the city of Yaounde. In addition they make also good sandwiches and crepes and the staff is nice. To conclude, Yaounde has many bakeries and pastries where you can have a good moment for bakeries lovers. In effect, we didn’t even give you a full list because there is some good pastries also like ACROPOLE. Locate in Mvog-Mbi Yaounde this bakery which is a company is working in Food retailers, bakers business activities. Moreover, you have ELYSEE ONE bakery locate in Marechal Foch street Yaounde. This pastry offer ice cream, cupcakes and many candies for pastries lovers. The United States has partnered with Cameroon in several areas since diplomatic relation established in 1960. Yaounde has US Embassy representation in Rosa Parks street Yaounde, Phone: (237) 22220-1500, Fax: (237) 22220-1500. Working hours are Monday to Thursday: 07:30 am to 17:00 pm and Friday: 07:30 am to 12:30 pm but closed on U.S. and Cameroonian holidays. Relation between United States and Cameroon is to support the commitment of peace corps volunteers in cultural exchange. Moreover, US embassy sponsor individual programs, which has consequently brought young African academics to America. In the same way at the social level, they promote private sector investment in Cameroon by creating jobs for Cameroonians. Additionally, fight infectious diseases like HIV/AIDS, build health sector capacity to prevent, detect and respond to pandemics as Ebola or malaria. To highlight once again the relation between these countries, US Ambassador Peter Henry Barlerin and his wife Inès were on an official visit to Douala on January 26, 2018. This town is the second largest city of Cameroon’s after Yaoundé, the diplomat met the traditional authorities of the Canton. During interviews with them, they mentioned many historical memories including the origin of the name Cameroon, Rios Dos Camaroes (river shrimp). At the end of the visit, Mr. Peter receives the distinction of honorary citizen of the Canton Bell. United States and Cameroon have military relation because they are fighting against pirates in the Gulf of Guinea. As a matter of fact, they gives their military help to Cameroon to defeat the violent extremism of the Islamic State West Africa Boko Haram. In the same way, they fight against deforestation and responsibly harvest the riches of Cameroon’s wonderful forests. In conclusion, don’t hesitate if you are or not U.S citizens and want to visit Yaoundé. You can get all information regarding U.S. citizens who are presently in Yaoundé and those who are planning to visit. Consular Section is closed to the public each second and last Wednesday of the month. Applications for passport renewals and visas, as well as immigrant visa comebacks, will not be accepted during this time. 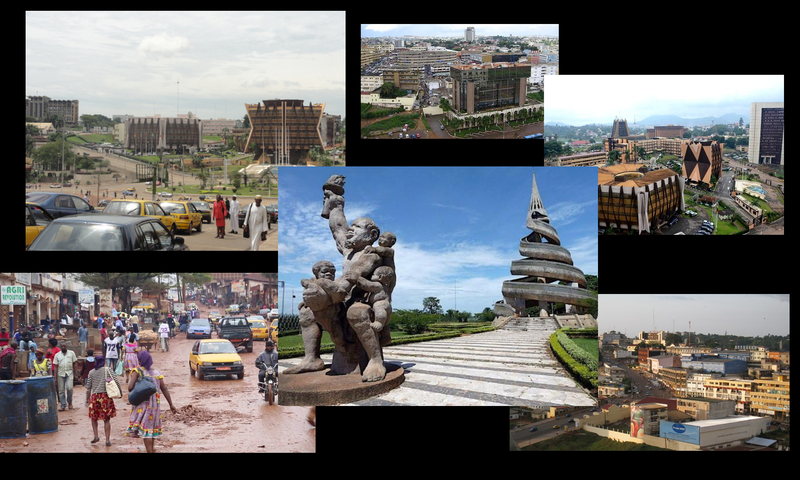 Founded as an ivory trading post, the city of Yaounde is the second largest metropolis of Cameroon just after Douala. As a capital of Cameroon, it is a political headquarters and the city is in full economic expansion. It manages the production and distribution of some of the main exports of the country. Yaounde is the seat of the majority of the Cameroonian ministries and international embassies. In the center of the city, ends a succession of hills, which earned him the nickname of “city of seven hills”. In addition, since the German colonization, Yaounde is a booming city of about 2 million people. she gives each day the means to offer dream stays to all those who are coming for long or short stay. Today, Yaounde is a very welcoming city internationally recognized. A safe city with a discreet security feature, very present, where life is beautiful. By modernizing, the city has preserved its natural beauty. There are old fruit trees from the past years of colonization still kept in the heart of the city. The urban community places an emphasis on keeping the city beautiful and green by creating green spaces for fresh air. You can enjoy the benefits of a protected nature of pollution. In addition the beautiful view of the city from the Palace of Congress, a joyous architectural setting for international meetings. The charm and originality of this city are also the men and women who live there. Welcoming, warm and available, the Yaoudéens greet you without necessarily knowing you. Same answer with a smile, a hand, it’s usually free and rather friendly. Hospitality here is not a sight of the mind, it is a reality. As a result, you will discover this laborious and enthusiastic population that invests in sometimes very original activities. First, you will probably go to Mount Nyada or enjoy fresh fermented palm wine. Therefore, you will discover on the slopes of Mount Elumden or Akok-ndo. Yaounde is also a crossroads of important road and rail network. So its easy to visit the rest of the country as well as neighboring countries. Equipped with a modern international airport and an impressive hotel park, Yaounde is open to big tourism . Hilton Hotel Yaounde is in the business district, in within a 15-minute walk from National Customs Museum. This property offers transfers from the airport (surcharges may apply). However, you need to contact the property prior and provide your arrival details using the details provided in the booking. This property is free of charge for a child under 17 using the same room as their parents or guardians. Hotel has adjoining rooms, which may be available on the dates of your stay but you need to mention before. On the contrary regarding animals no need to ask because pets including others animals, are not allowed at Hilton Hotel. Restaurants, casino and and outdoor pool are available at the hotel. In the same way free WiFi in public areas and free self parking are offered. The entire 248 rooms boast fireplaces and offer WiFi and furnished balconies. In addition, it’s common to find 24-hour room service as well as plasma-screen TVs with cable channels. The hotel offers outdoor tennis courts and a 24-hour fitness center. Additionally there is outdoor pool, hot tub as well as recreational amenities and sauna are also set up on the site. In the same way recreational activities listed below are available directly on site or nearby. These activities may be subject to additional fees like Playing area for adults and kids or Yoga Fitness as well. Together with previous activities you have spa treatment which include body scrubs, body care, manicures and pedicures, hot stone massage. Likewise Hilton Hotel offer facial treatments, aromatherapy care and deep tissue massage as well . The weather in Yaounde ! Yaounde has a savanna climate with dry winter, there is better months to visit the city but temperatures are changing. 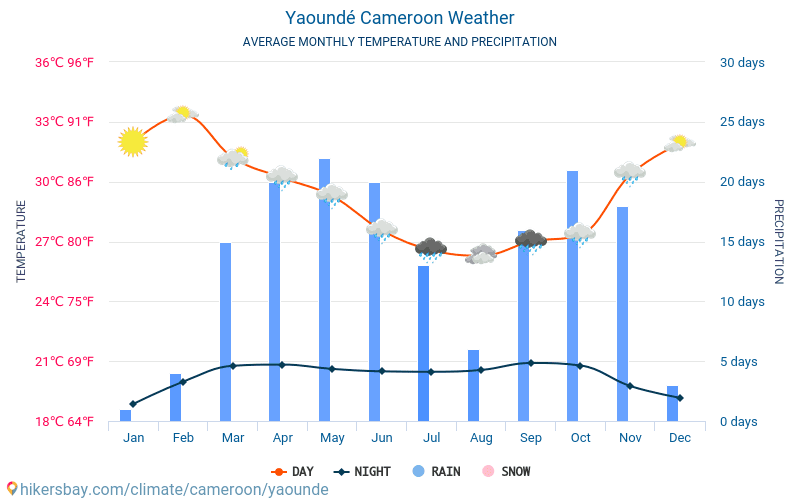 The rainfall in Yaounde is much higher in the summer than they are in the winter depending on the time of year you prefer . 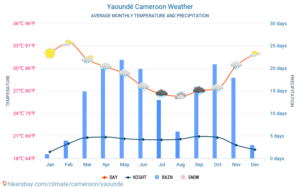 Either autumn, winter, spring or summer, the climate in Yaounde is different depending on the season as per every country. Some prefer the rains, others the sun, or neither, but what is certain is that in Yaounde the climate is unfavorable five months out of twelve. The table below will illustrate what is the right time to visit the city according the weather in Yaounde. As per the chart above, best time to arrive in Yaounde is between November to May. For example from December to February climate is good; in the early evening temperature is on average of 24°. March, April, May and November, temperature is average and stay correct with occasional heavy rain. Furthermore, June to October for all those like heat it’s not advisable; the weather in Yaounde is unfavorable because the precipitations are cloudy and it rains abundantly. In conclusion, we advise you to choose driest months and visit the country obviously is between November and February. Moreover during this period, you will probably be disturbed by harmattan, a hot wind loaded with sand from Sahara. The capital of Cameroon Yaounde owes its climate to the hills that run along the city. Thanks to them, you can observe the dense vegetation along the streets, which gives Yaounde a pleasant and fresh climate. Commissioned in 1991, Yaounde Nsimalen International Airport is one of the two largest airports in Cameroon. Located in Nsimalen a suburb south-west of Yaounde and ranked 2nd airport given the number of passengers and cargo handled. Larger than the previous one, Yaounde Nsimalen International Airport was rebuilt to address the city’s rapid growth problem. This former international airport now serves as an airbase for the air force of Cameroon. Yaounde Nsimalen International airport has 14 direct flights to 11 countries. 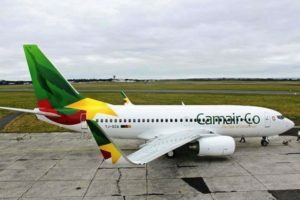 With its national company Camair-co, it provides international and domestic flights to reach different cities of the country. On the technical side Yaounde Nsimalen International Airport covers 3,065 acres at an elevation of 694 m. Consequently its includes one passenger terminal, one cargo terminal and 6 aircraft stands. The airport currently has one runway: heading 01/19, 3,400 m (11 154 ft) in length, with a width of 45 m (147 ft) which could accommodate a B747. Additionally, the airport’s growth of international traffic is 4% per year. For this reason, the government has set a goal of servicing 1.5 million passengers and 50,000 tons of cargo per year. In a word the ministry of transport has asked to develop airport for new targets which includes cargo facilities equipped with warehouse. In the first place security front, Nsimalen International Airport is equipped with modern facilities and can be accessed through 4 gates. It has 6 parking facilities, 2 of which are for long term use. Inside the terminal there are 10 check-in desks. A transit zone, animal quarantine, health office, X-ray/handling/mechanical equipment and refrigerated storage. There is post office and police office for all passengers if they wants to enquiry make statements or claims something. Second in the economic and social plan, Yaounde Nsimalen International Airport has built his history . In order to satisfy and secure people there is currency post office where you can exchange money easily and secure. There is tourist information centre, business centre, banks, car rental and taxi services. If you want to take breakfast, lunch or dinner, you have restaurants in the airport open 24/7. If you don’t have any reservation or booking you have Hotel services at the airport they provide free shuttles for pick up and drop off when necessary. In Yaounde, it’s the largest of all universities I name University of Yaounde I (Ngoa-Ekellé) create in 1971. Therefore it’s the first university of Cameroon hence the nickname “mother of universities “. In fact university in Yaounde is easily accessible for any student because most of them are located in city center. For example, Ngoa-Ekellé for example training is divide in 02 faculties and offers many formations. First we have Faculty of Science (FS) and its 09 departments with training up to the PhD is possible in all departments. Second the Faculty of Arts Letters and Humanities (FALSH) which has 04 departments. In public universities, fees amount to 50,000 XAF per student and for foreigners each schools freely sets the amount. However this amount may vary depending on the agreements between Cameroon and the country of the student. Higher education in Yaoundé is mark by the LMD system (Bachelor-Master-Doctorate). This system at the national, subregional (Cemac) and international levels is based on a three-level curriculum architecture. Cameroon has joined the Cemac LMD system and most of Schools in Yaounde started applying it in 2007. In summary Cameroon offers a school curriculum open to all those wishing to train for both national and international citizens. Yaounde is home to most of these universities and the same is true for other cities in the country. Moreover you will find in these universities short academic courses recognize nationally and internationally. With this intention the training for this is 2 years after your high school certificate. The American School of Yaounde (ASOY) is an independent not for profit co- educational school serving students from over 32 countries. Create in 1964 the school offers educational program from nursery through grade 12 and serves locals and expats community of Yaounde. Locate in Yaounde centre, ASOY is a World School accredite by the Council of International Schools (CIS). For this reason, all staff members is certify and register with their country’s educational department and teacher is US train certify. In the same way, the school is rule by seven member board, six of whom is elect by Parent Association and US representative ambassador. Also, the board includes teacher representative and school director who are non-voting members. Board meetings generally occur the third Thursday of every month and are open to parent observers. Association meets in General Assembly twice yearly September and April. The purpose of meeting is electing board members, reviewing annual budget and Strategic Plans. American School of Yaounde is an English medium school offering American style educational program. They serve a Pre-K 3 through grade 12 student population of 205 students. Hence they offer courses for Primary Years Program (PP) and Middle Years Program (PP). Moreover they believed in a well-balanced education of academics, community service, arts and full complement of after school offerings. The school strive to integrate Learner profile across the curriculum and students can think critically and become a leaders. For this reason their graduates have attended universities and colleges in United States, Canada and Europe. 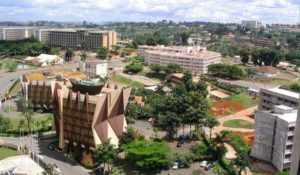 Yaounde still called “city to the seven hills” welcoming and full of surprises offer a pleasant setting for all your stays. From the airport to the city center, you will discover a bright landscape from the multitudes of trees. It is very easy to find accommodation in this city because there are multitude of hotels which provide airport shuttle service for customers. It is in this logic that we will quote you in the next paragraph best Yaounde Hotels. 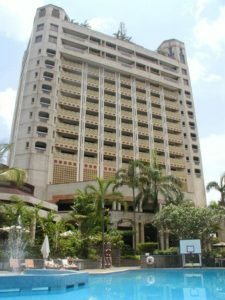 First of all you have the Hilton hotel in Yaounde located at Boulevard du 20 Mai in city center. Hilton hotel offers a pleasant setting for your stay in full board for family and friends. Listed in the top 10 of hotels in Yaounde, you have opportunity to move safely because hotel is guarded 24/7. Furthermore, there is severals in-house restaurants which offers local and international foods. Of course swimming pool and play areas for children and adults are available in the hotel to avoid boredom. Similarly if you wanna go out you can visit supermarkets 100 meters from hotel such as MAHIMA, SCORE . By the same token for any needs with family or friends, you always have solutions because Hilton hotel is right next Moulin De France coffee shop. Second, in the top 10 of Yaounde Hotels comes Mont Febe hotel with its panoramic view of Yaounde on the heights of Mont Febe. This hotel is locate at altitude of 950 meters surrounded by lush greenery and luxurious. With its motto “Come back for fun” Mont Febe Hotel has unique architecture and design offering luxury along with comfort. In effect, rooms offer a magnificent view of the mountain vegetation as well as the golf course of the city. It owes its presence in this classification because of the impeccable service that it offers with its restaurants and leisures. In addition this hotel offers easy access, secure because it’s a presidency area and its 15 minutes from airport. Thirdly we have Djeuga Palace Hotel on the list of Yaounde hotels with his pleasant setting and everything is there to feel good. Hotel location is in city center and has large rooms decorated with a living area, desk and safe. In addition to what you can find common hotels Djeuga Palace has a open disco for dance lovers. 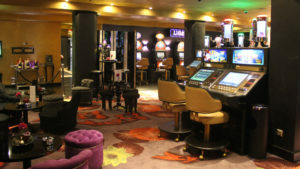 Near this atmosphere there is casino for lovers of gambling, and all theses three hotels fees start 65.000 XAF per night. However don’t limit yourself to the three hotels mentioned above because i made it according to my visit in these places. 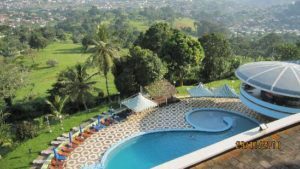 The assessments are different, so its normal this list of 3 best hotels in Yaounde is not exhaustive. Under those circumstances you can find in the same city Yaounde hotels with same offers and service. The difference is on the form with a limited number of rooms and on the bottom because the price is lower than others. As a result we have firstly La Falaise Hotel in Yaounde with Avenue Marechal Foch as a location. Secondly Merina Hotel Yaounde street El Hadj-Ahmadou-Ahidjo offers good quality time. Thirdly AZUR Hotel Yaounde in Bastos district opposite Elecam which offer you a pleasant setting with equipped and luxurious rooms. Also we have Yaounde Central Hotel in city center heartquarters district of the ministries. 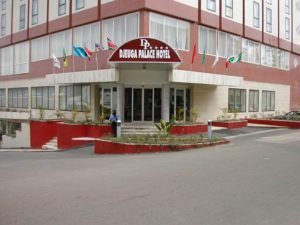 Meumi Palace Hotel in the Bastos district, Diplomat Hotel street Joseph Mballa-Elounden. All these hotels offer a clean environment, a good service, friendly staff, and you are also entitled to international catering.